New York has become both a myth and a muse. So many filmmakers, myself included, have a dream of one day being able to shoot their big picture in the city, and for good reason. There is something to be found on every street corner, in every subway station, and within every hole-in-the-wall store. This explains why New York is quite possibly the most sought-after shooting location in the world, surpassing even Los Angeles and Paris. In turn, it remains to this day one of the most expensive places to make a film. This doesn’t deter artists, however; for if there is a story that needs to be told about New York, it will invariably get coaxed out. The city is a character unto itself, and sometimes just shooting a scene in New York prompts a film’s audience to feel something. New York is a place full of possibility, and everyone there is connected to one another, whether they want to be or not. These characteristics are shown in famous movie sequences where people connect with one another on the streets or overhear random slices of conversation on the subway. Relating to others in New York is so easy because everyone’s just trying to get by while simultaneously making sense of the wonderful chaos that is their city. This grand sense of worldliness is not shown as much as it’s felt in three contemporary cinematic releases, all on the indie circuit. 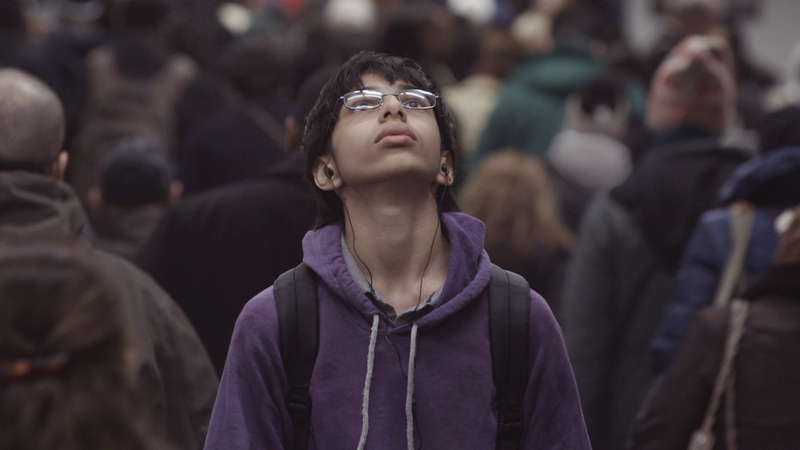 These films take full advantage of the city they’re centered in, while also undoubtedly shaping the next wave of New York-based filmmakers. It took roughly eight years of toiling in order to bring this project to the screen. A modern Apocalypse Now in terms of the production history, Margaret became director Kenneth Lonergan’s cinematic masterpiece. Lonergan’s goal was to craft a story that covered a girl’s turbulent adolescence and encompassed the power that consequence has over a person’s life. The film spans nearly three hours, but that shouldn’t deter viewers from watching; it moves quickly and provokes many thoughts that will linger for quite some time afterward. Lisa Cohen, the film’s young protagonist, is a teenager who experiences a harrowing fall from grace. 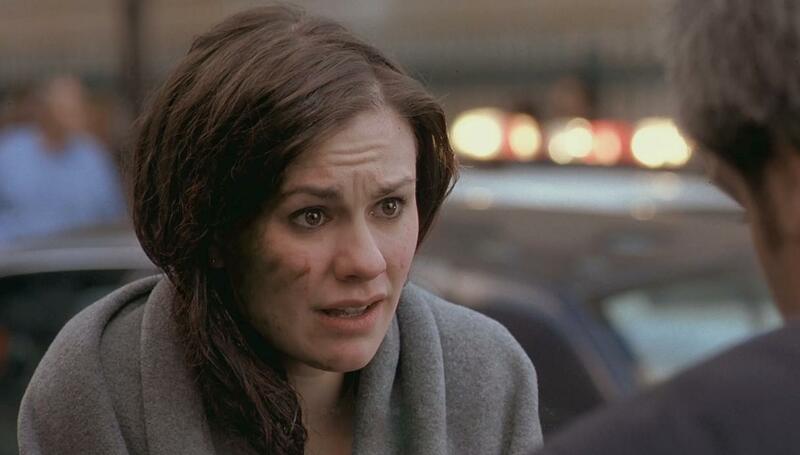 Played by Anna Paquin of True Blood fame, Lisa’s story becomes a parable not just of the typical angst every adolescent faces, but also the consequences of a terrible event. Margaret’s title is gleaned from a poem by Gerard Manley Hopkins, named “Spring and Fall.” This poem centers around a young woman who comes to understand through aging how cold the world can be, which directly correlates to Lisa’s burgeoning understanding of her own world. At the beginning of the film, Lisa is about to go on a date with a boy that she knows who likes her more than she likes him. On her way to meet the boy, Lisa notices a bus driver (Mark Ruffalo) wearing a cool cowboy hat. Curious as to where he got his hat, she tries to flag him down. The confused bus driver watches Lisa and, not paying full attention to the road ahead, he ends up running over and killing a woman who is crossing the street. In a bloody sequence that is almost too much to watch, Lisa holds the dying woman in her arms and realizes that this gruesome turn of events may be wholly her fault. She spends the remainder of the film trying to come to terms with her part in the death of the woman and also deals with the investigation that follows the accident. Along the way, she meets a collection of interesting characters and comes to learn about the various forms of corruption that plague her city. The city of New York integrates itself in various ways throughout the film. The Upper West Side neighborhood features prominently with Lincoln Center and West End Avenue (where Lisa’s school is located) acting as key focal points. Her circumstances provide a genteel existence and there’s never any mention of money problems, as Lisa, her mother and brother live in a superb apartment building in the West Seventies. Lonergan delicately embeds the audience into Lisa’s life. The journey she goes on is equally shared amongst the cohort of people she encounters throughout the course of the story. Lisa and her mother Joan (J. Smith-Cameron) have a rocky relationship. Her father (played by Lonergan himself) is barely present in his daughter’s life, living all the way in Los Angeles. Lisa also contends with exploring her sexuality after the accident, which ruptures her state of mind, causing her to crave connections that she never previously had. She abandons the guy who was interested in her, and instead goes for Paul (Kieran Culkin), the archetypal teenage “bad boy.” Later, she even has an affair with Mr. Aaron (Matt Damon), a teacher of hers. Margaret is a deft look into the human psyche. The film dives headfirst into the idea that adolescence is truly a formative period in every person’s life. The audience becomes embedded in Lisa’s psyche while watching this film, and through identification with the main character, we come to understand what it means to be young, alive, and confused. Frances Ha is the most poignant example of the modern mumblecore movement in filmmaking. Mumblecore films pay homage to the artists behind the French New Wave. These films don’t have sets, celebrity stars, or highly staged performances. Instead, they thrive on realism and improvisation. An examination of a stressed yet vibrant woman in her twenties, Frances Ha is a relatable film for anyone at an in-between point in their life. Co-written by Noah Baumbach and Greta Gerwig (who plays Frances), the film doesn’t follow a definite story arc. Rather, it follows a life being lived in various capacities. Frances seems to have the groundwork laid out for being a successful woman. She just has to figure out what she actually wants to do. A Vassar graduate living in Brooklyn with her best friend Sophie (Mickey Sumner), Frances tries to join a prolific ballet troupe in the city, but it’s not really working out for her. She becomes a nomad of sorts, especially when Sophie leaves her to move to Manhattan with her boyfriend. The film becomes quite interesting when Frances begins to discover herself through the people she encounters after moving out of her apartment. She crashes on a couch at Benji’s (Michael Zegen) and Lev’s (Adam Driver) two wealthy slackers in Chinatown. She comes to realize that these guys have everything they ever could want. But Frances knows that unlike Benji and Lev, deep down that she needs to work hard to achieve what she wants out of her life. 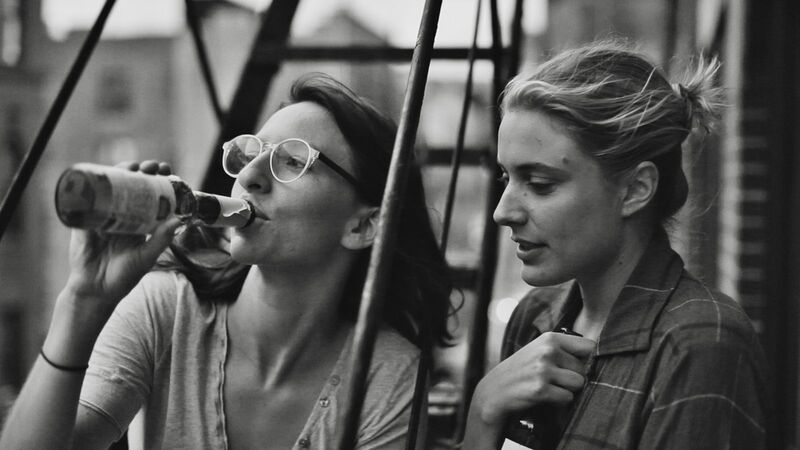 The New York of Frances Ha is fast-paced and frenetic, just like its titular character. This is how the city is supposed to feel to a college graduate. Anything seems possible and adult responsibilities haven’t truly set in yet. Frances is certainly trying to find herself throughout this film, and so is the city. Relics from the past abound in New York, yet the city itself is so youthful in its personality. With their carelessness, Lev and Benji represent this growing class of wealthy trust fund kids pushing aside those who have true artistic merit (such as Frances). Frances Ha is easy to identify with across nearly all contexts. The film’s most relatable moment comes when Frances visits Paris on a whim. At a dinner party she attends, Frances manages to secure nice digs in an apartment owned by an acquaintance. Rather than exploring the city for the weekend she is there, Frances instead sleeps through an entire day. When it becomes night, she tries to contact a friend of hers without much success. Everyone’s been there — sitting alone while those around you are socializing with others. Is it contented loneliness suffered by Frances, or peaceful and uninterrupted bliss? Baumbach truly brings the ethos of mumblecore to Frances Ha (simultaneously addressing American hipsterdom in the process). Baumbach chose to shoot on black and white for artistic and aesthetic reasons. While there is certainly some pretentiousness present in this mode, the film is also shrouded in a nicely sentimental light as a result of it. Gerwig puts her all into the character of Frances. She doesn’t act so much as she lives and breathes in the skin of her character. Any young woman will find the character of Frances easy to understand. She’s loveable, quirky, and most of all, very self-aware, while the people around her aren’t. Even though Frances isn’t as “successful” as others, she possesses a resourceful ingenuity that some people will never have. It is through her that the film comes alive, bringing with it a cleverly disguised message. Baumbach and Gerwig argue that success doesn’t breed a meaningful life. Rather, success comes from life being lived on the road to something better. Ricky comes from a family of Mexican immigrants living in the isolated urban outpost of Rockaway Beach. This Queens neighborhood sits at the end of the longest subway line in all of New York City. Even though Ricky is old enough to walk home from school by himself, he still must be accompanied by his sister Carla (Azul Zorrilla). One day, when Carla decides to leave her brother behind to walk home with a friend, Ricky becomes distracted by a dragon patch on someone’s jacket. Following the patch brings him to a nearby subway station, where he spends a multitude of days in the underground transit network. Ricky’s mother Mariana (Andrea Suarez Paz) is accosted by this overwhelming burden of both finding her son and rearing her moody daughter. She must also continue to make a living for herself and her kids by cleaning a wealthy man’s apartment, as her husband Ricardo Sr. (Tenoch Huerta) works upstate. Ricardo later comes down to the city to help his wife search for their son. Carla also goes through a reversal, gradually shedding her cold and unsympathetic sensibilities and showing Mariana just how much love she has for her family. In a heart-rending scene, Carla tries to hug her mother, who in turn shoves her away. Carla’s tears become the audience’s tears, as the troubled relationship between mother and daughter is displayed. The spontaneity employed in Stand Clear of the Closing Doors touches the heart. Similar to Baumbach’s mumblecore flourishes, this film also used portable equipment that allowed for easy access in an environment such as the subway. The characters are all genuine and none of them are trained. Using this kind of unprofessional cast is great because the film is supposed to be a document rather than a composed work. Stand Clear of the Closing Doors doesn’t just use New York, it is New York. People are filmed in real time here, and this style allows the film to be cinema verité in nature. Had true artistic improvisation not been employed, this film wouldn’t have been as richly moving. Life is permanently in flux, and the conception and making of this film emphasizes life’s movements. Beauty is effortlessly captured without ever having to be rehearsed.